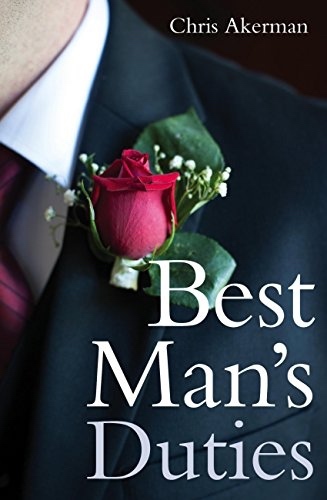 Being best man is a great honour and a lot of work. 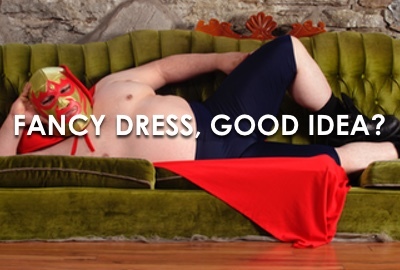 StagWeekends.com takes most of the work out of organising the stag weekend but your duties extend beyond that. 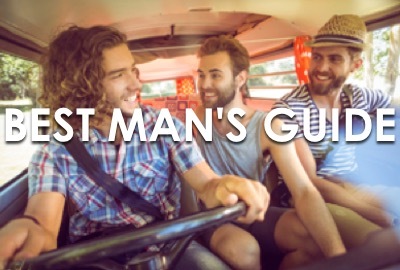 This section contains some hints to help you be an effective best man. Please read the stag charter as this will help you stay out of trouble. 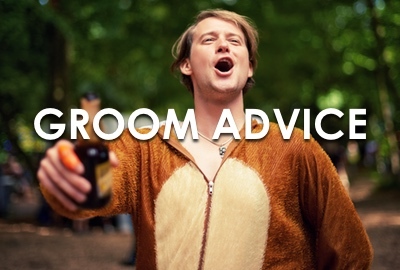 A good best man will organise the stag weekend well in advance, we recommend starting at least a year before the wedding however a minimum of 8-10 weeks is usually the norm, last minute stags are not impossible, so don't panic. If you are not all travelling together make everyone's' plans known so that people can contact each other and travel in groups. When sending out the travel and accommodation details include a) a back up plan b) the mobile phone number of as many participants as possible. Take as much money in advance from the participants as possible. The accommodation and cost of events should be collected before departure as a minimum, that way when the weekend comes the cost has been borne. Collecting money on a Sunday morning is never easy. 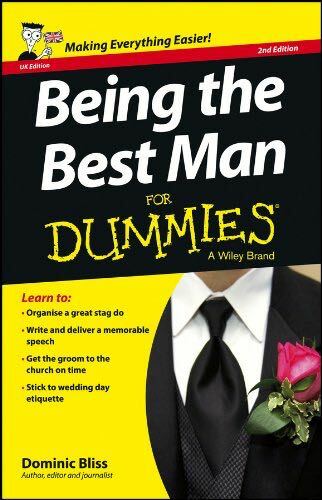 As the best man it is your duty to look after the groom. Obvious, yes, but frequently overlooked. It is also your duty to make sure that guys who do not know many people other than the groom are joining in and enjoying themselves. The groom will usually know all the arrangements for the practice ceremony, but make sure you know where you should be and when. The minister usually expects sobriety. Try not to get too hammered the night before, and that goes for the groom as well. The wedding should be fun, not blighted by a blinding hangover. Wedding etiquette dictates that presents should not be presented on the day itself. Where are the happy couple meant to put it ? Ideally in advance, possibly after, but never on the day itself. The groom will traditionally pay for the usher's lunch. After that your duties really begin. Make sure you arrive at the church in plenty of time - this is a balance between being conservative and not arriving so early, you attend an earlier wedding, plus you don't want the groom hanging around and getting nervous. 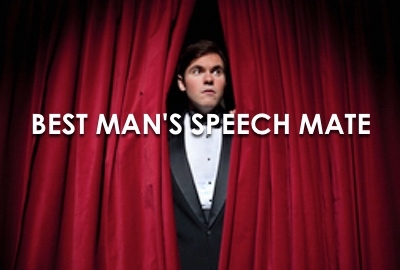 We recommend 15 - 20 minutes before the ceremony, but speak to the minister as well. You then must ensure that the reception, wedding photos, dinner, speeches and dancing all run to schedule. This can involve being quite bossy, but people understand. Guests typically have to be told what to do 5 times before responding! Carry a card on you with the day's proceedings so you always know what should be happening and when. The most high profile of your duties is the speech. 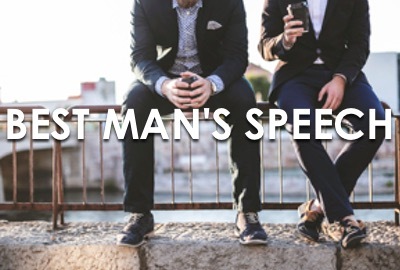 We have put together some tips for a Best Man's Speech alternatively you can actually go and buy a a Personalised Best Man's Speech created for you online. When the dancing begins you will be expected to follow the groom onto the floor. Plan this in advance and practice if required. It is officially your job to ensure the groom and bride depart the ceremony on time and you are meant to see them to the car. This is one of the less important duties as they should be capable of managing that themselves but it is a nice touch if you are around to send them off. In the strictest sense it is not necessary to write thank you letters for weddings, but that etiquette is somewhat outdated. Sending notes to the parents of the bride is polite and the groom's parents would no doubt be touched as well. 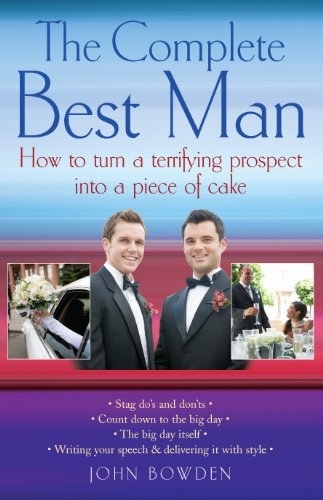 Chances are you received a present from the groom. You should also remember to drop him a note. A really nice touch would be to send the happy couple an anniversary card for as many years as you can remember after the day itself. Hopefully our comments have been useful if you feel that further reading on the matter is required we believe the following publications (on the side if you're on a big screen or below on a small screen) to be the best in the market place - click on the images and you will travel to the Amazon for a short shopping trip.